AKIPRESS.COM - While Saturn's rings may disappear in less than 100 million years because gravity is pulling them into the planet, apparently they haven't always surrounded the planet, either. The finding was published in the journal Science on Thursday. 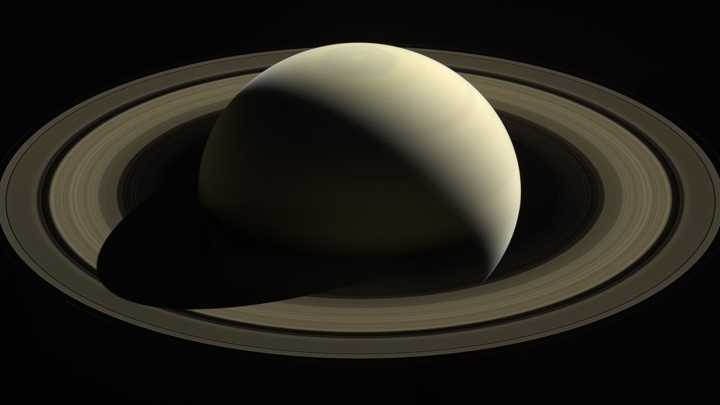 When NASA's Cassini spacecraft plunged into the planet's atmosphere to end its 20-year mission in 2017, it dived between the planet and its rings. This last act before the spacecraft disintegrated allowed the instruments to precisely measure the amount of material in Saturn's rings. Knowing that weight also allowed scientists to determine the age of the rings. The material in the rings weighs about 40% of Saturn's moon Mimas. The smooth, round moon has an impact crater that caused people to compare it to the Death Star from the "Star Wars" films. Scientists now believe the rings formed less than 100 million years ago, or even as recently as 10 million years ago. The age of the rings has been a debate among scientists for years. Some believed they formed when the planet did 4.5 billion years ago, using icy debris leftover from the formation of the solar system. And others thought the rings were captured material from the Kuiper belt or a comet, reduced over time to rubble orbiting Saturn.